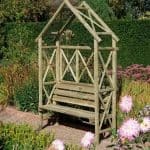 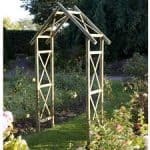 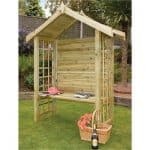 This particular Arbour has slightly Gothic styling such is its pointed roof. 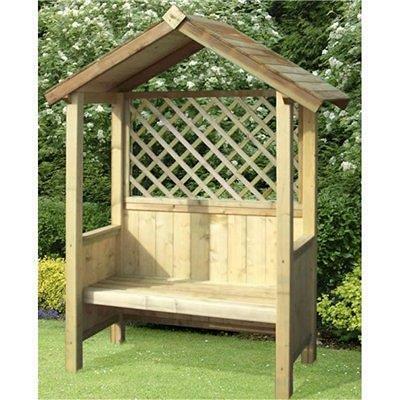 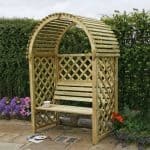 A stunning addition to an outdoor space and the pressure treated wood is styled with a diagonal trellis back panel and slatted bench making it a comfortable and eye-catching piece. 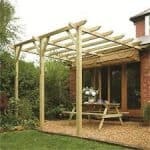 It is completely maintenance free and will last for many years. 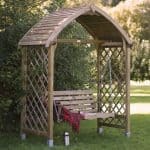 You will truly love sitting here and taking time out from the hustle and bustle of modern life with a cool beer or glass of wine while you reflect on the day.